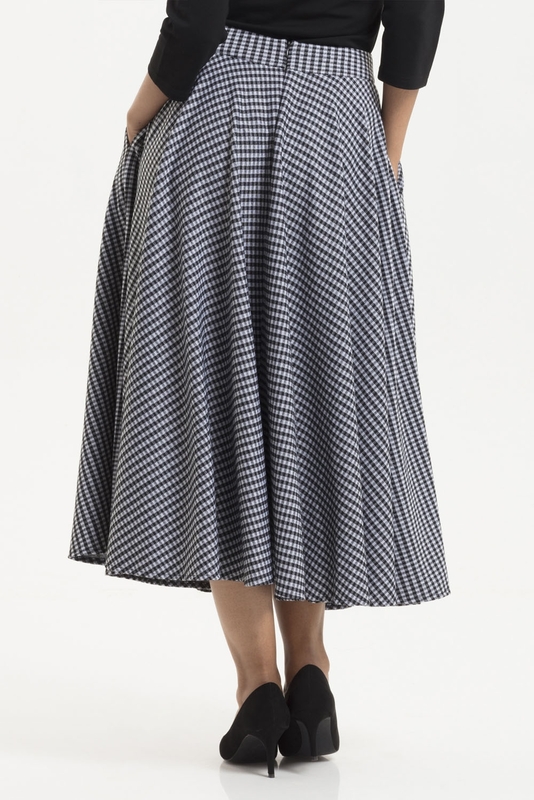 Give the classic New Look silhouette a whirl in our Arianna Houndstooth Flared Skirt! This flattering A-line skirt is understated and refined, two things we try to be in the wet and windy months! Love the look? Check out the Chloe Fitted Houndstooth Dress!